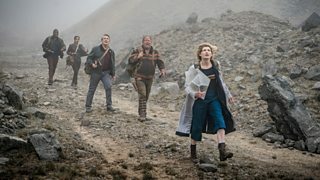 Welcome to the Doctor Who weekly roundup. Where we show you a week in the world of Who. We started by finding out what’s in store in the last two episodes of the series. We took a closer look at the partition of India in Demons of the Punjab. Looks can be decieving. The Thijarians were the subject of case files episode 6. 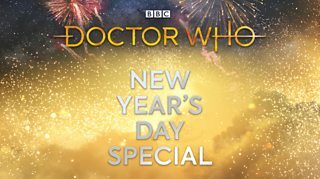 We revealed that this year’s seasonal episode would be broadcast on New Year’s Day. We went behind the scenes on location in Spain for Demons of the Punjab. The cast shared their dieting secrets in What you need to know: Snacks. BBC Children in Need aired on Friday, where they previewed a clip from Kerblam! Also on BBC Children in Need, a very special girl got to explore the Doctor Who set with the cast. After the episode, we got a glimpse of what’s to come in next weeks The Witchfinders. ...And finally, it was Mandip vs. Jodie in an arm wrestling challenge. Thanks for watching; you can catch up on the series so far on BBC iPlayer.